Provides energy and nutritional and physiological balance. 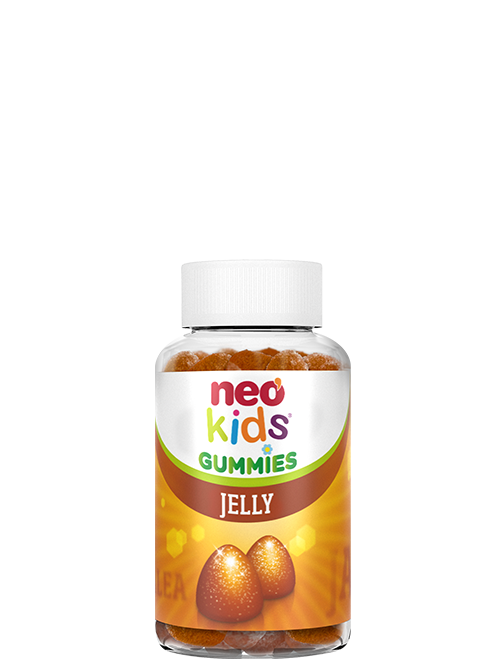 Neo Kids Gummies, gummies for health. 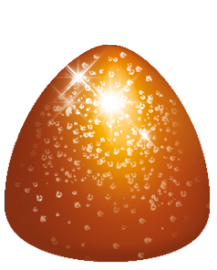 Natural and effective solutions, adapted and safe in the form of delicious jellies. Without gluten. Without dairy products. Without preservatives. Gominolas funcionales, en forma de conos de sabor a plátano, a base de Jalea Real. La Jalea Real es útil como reconstituyente, especialmente en épocas de inicio o final de curso, en cambios de estación en época de exámenes, cuando las necesidades energéticas con mayores. También activa el sistema inmunitario frente a gripes y resfriados y estimula el apetito. Take 1 gummy per day. Glucose syrup, sugar, purified water, Royal jelly, pectin, citric acid, banana flavour, natural coloring (E160c, E153). Food supplements should not be used as substitutes for a balances diet. Do not exceed the recommended daily dose. Keep the product in a cool, dry place, out of the reach of children. Do not store in direct solar sunlight or in temperatures above 25°C. Food supplement with sugar. Not suitable for diabetics.